Are you sick and tired of following system after system only to end up more confused? Here’s why most programs let you down – they are showing one piece of a full system. I know as I have bought them, only to realize that I needed the step before or the step after. Which is why I’m about to show you the 12 step system so you can get the results you want in record time. If You Answered YESto Any of These, You are in The RIGHT PLACE. 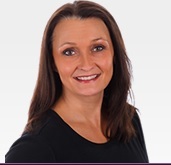 My name is Tracy Repchuk and I’ve spent my entire career on a computer and as a self employed entrepreneur. I graduated from College in 1985 as a computer programmer, started a software company at the age of 19, and in 1994 when the internet emerged – I was there developing websites and creating search engine optimization strategies. For almost three decades I have guided government, non-profit, banks, and fortune 500 companies in business systems automation, best practices and profitable marketing strategies. 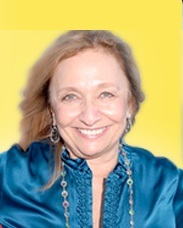 In 2006 I reinvented everything, walked away from the comfort of my multi-million dollar software company, moved my family from Toronto, Canada to California to focus on helping business owners, coaches, and professionals who were in confusion, uncertainty or simply ready for rapid growth to quantum leap to the next level. practically in retirement – it was not enough. I was personally and spiritually unfulfilled. I needed to come out from behind the computer, become the leader and make the impact I was meant to make. That you are not doing what you’re supposed To Do? I Was Terrified To Walk Away From Everything I Knew – My Home, My Business, My Country – I Took the Risk so You Don’t Have To. What I did was drastic, and some would say crazy. Have you ever had that feeling inside that compels you to take the risk, go for it, and make it happen no matter what? I had no logical answer for why everything had to change, but when I get that feeling – you know the one I’m talking about right – I have to bypass fear, logic, friends, family, and circumstances to accomplish it. The risks were enormous. More than I can even share here – but 7 years later I can say it was the greatest accomplishments of my life – so far. I even invested in myself like never before. It wasn’t until I discovered internet marketing that I found out I could hire someone or use products that already paved the path I was about to walk. It was a mind blowing discovery for me. Coming from the software industry where everything was secret and nobody shared anything until it was launched, and nobody helped each other with that launch – this whole concept of getting help was absolutely foreign to me. I consumed information, mentors, coaches, products, systems and strategies like a starving cat. And as a result, I made the biggest quantum leaps of my life – with a 4 step approach to marketing. I feel incredibly blessed when it comes to being an entrepreneur. Not because anything was handed to me. I built my business from scratch, the hard way. Until I got into internet marketing, I didn’t know you could hire people to help you, get coaches, information and mentors to accelerate your results. Once I knew I could get help – I got it every step of the way. Here are the results… all laid out for you in detail. Help thousands of people and businesses develop a fully branded end to end website presence in under 60 days…..
Do you like to take the long hard, expensive way or would you like to take the Short Cut? Creating Your Book without a back end. The list goes on and on, and so do most of your purchases. You buy something you don’t need yet – and what you need still goes undetected. You can’t see the forest for the trees. Or even worse, you don’t know what you should be doing first because you have only been exposed to mentors, trainers, and education that is specific, and not holistic to the entirety of your business. I deal with ALL of you. That doesn’t mean that I have all the answers you will ever need. It means you will have ALL the answers you need when it comes to getting a foundation in each of the elements, and getting it going. Then you will know what you need to spend more time on later. It’s about knowing where to spend your money, and what you already have in place. It’s about you getting all the primary factors in place for your ultimate business foundation and success. Right Now Get Your Answers to the Fastest Way to the Cash. FACT: There Are Key Fundamentals That Must Be In Place. You are going to gain access to the system that will teach you what works, what was tested, what was added to and what will Quantum Leap Your Results. There Are 4 Keys I Discovered To Reach Millions With Your Message. Since 1992 I have been online, developing websites, brands, applying SEO techniques and creating an impact. 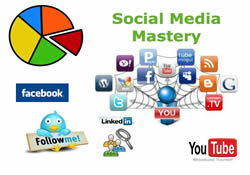 You will be given the blueprint to crack the internet and social media code. You will receive the blueprint to a bestseller launch (I am a 5-Time International Bestselling Author) and every book I have launched went bestseller. I tell you the tips, tricks, strategies and methods I used to make that happen, along with how to launch a product plus the secrets to a telesummit versus a teleseminar launch. 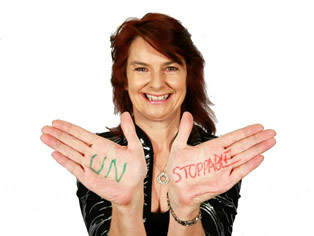 I used to have a $5000 per person speaker training course which contains the format for your presentation, and how to book speaking gigs, where to find them, and strategies I applied to speak in over 35 countries – accelerating my speaking career, never paying for a vacation for the last 5 years and becoming one of the top women speakers in the world for internet marketing. You get it all. My first appearance in the media was at the age of 3. During my teens I was in the paper monthly for sports or academics. At the age of 24 I had my first TV appearance on Report on Business Television and repeated that trend for years appearing additionally on HGTV, W Network, MSNBC, CBC, and then last year I had over 22 TV appearances and realized I could get on TV any week of the year. I will tell you when to do TV, why you do it, how to get booked, where to get booked, and how to reach millions and capture them for massive opportunities. I even make recommendations on some of the top trainings out there, and when you should do which of them. 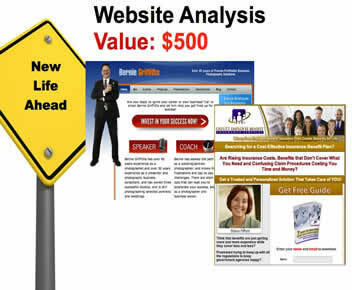 I have saved more people $5000 JUST ON THIS ONE MODULE alone, then any other module. Are You Ready to Be the Brand and Finally Get Your Message to Millions? You know building a business takes time and anyone that says they have the push button solution for all that ails you, is selling you a pipe dream. What I am giving you here is not a fantasy, it’s a structured, workable and proven solution to viably building the foundation and growth strategies for your business, at a pace you can handle. Once you get an element stable, you move on to the next one. It’s simple, you can even hand it off to a virtual assistant (after I teach you how to easily do that of course in Module 5). Everything you need is here – including the community that will lift you up, keep you focused, and make you feel welcome. Remember you will gain immediate access to the first lesson, the video, the notes and if at any time during the first 30 days you feel like the data, and future module topics won’t be worth your time – then drop out and the free ticket to my Business Online Mastery 3 days of training is yours to keep just for your time and effort. Expand Your Business with the Key Data That Took me 5 Years to Accumulate so You Can Expand Your Business, Change Your Life and Catapult a Message That Converts! Defining the elements that make your brand. Identifying the pieces you need and how it all works together. Knowing what to do, when to do it, what to say, and where to do it. Launching your site, service, coaching, product, book or you. Make money from the stage, keynoting, the phone or 1 on 1. 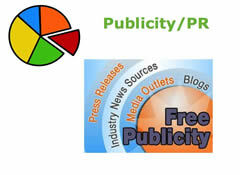 Leveraging mass media to make an impact. Market funnel and creation of a cash flow from every angle. 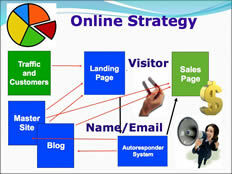 Best traffic methods for your business, products and services. Best of all, you will have lifetime access because you’ll want to visit each of these modules over and over again they are so complete and detailed. 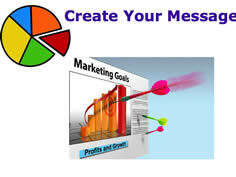 Module 1: Crafting Your Message Learn to Craft your message so the world understands. When you meet someone or they come to your website, they need to know what you can do for them at a glance. If after minutes of you rambling, or if your site overwhelms with the hundreds of services you provide, you’ll find your potential client leaves and continues their search. Moreover, this will affect your confidence and add to your own confusion. Module 2: Being Brand You Defining the elements that make your brand. 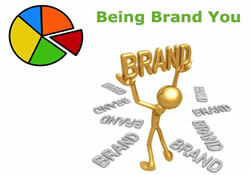 You get the coveted methods to branding yourself so people remember you, trust you and want to do business with you. If you don’t think brand matters, then you have a long hard climb up to get noticed. Module 3: Online Success Strategies Identifying the pieces you need online and how it all works together. In a world where you only have 3 seconds to make an impression, everything matters. Color, layout, navigation, images, copywriting… and if one thing is off, you’ve lost a potential customer when you didn’t have to. 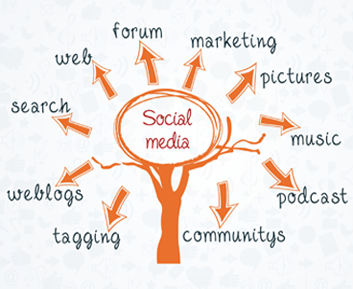 Module 4: The Science of Social Media Knowing what to do, when to do it, what to say, and where in Social Media. Social media is the new game in town and nobody really told you the rules. This resulted in confusion, overwhelm and an approach to social media that borders between throwing spaghetti on the wall and a show down in the wild west. The solution is simple – when you understand what, where and why. Time is money and if you want to grow this is how it’s done. 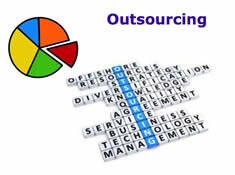 But outsourcing has it’s pitfalls – I reveal them so that you don’t put your company in jeopardy. It’s information an outsourcing company will not tell you. Module 6: Launch Formula Secrets Launching your site, service, coaching, product, book, telesummit or you. Once you have a product you need to get it out there and known right? There are a lot of ways to do that, but very few are successful or meet the expectations of the launch. There is a sequence, and specific gauges to help you understand what is possible, when to launch, and what is really required. 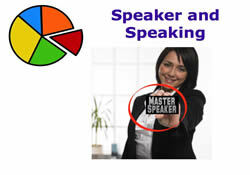 Module 7: Making Money Speaking Speaker Secrets – How to make money from the stage, keynoting, the phone or one on one. If you’re looking for a dream career or adding speaking to your business either as a lead generation or income producer, then you’re in the right place. I have spoken in 35 countries, on hundreds of stages, and made 6 figures in 90 minutes many times over. There is an art to every element of speaking, and a strategy to get you to your desired outcome. I’ll tell you exactly what I did to go from complete unknown to world wide speaker in under 5 months. 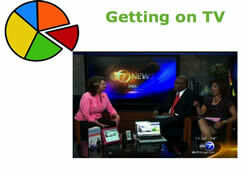 Module 8: Getting on TV Leveraging mass media to make an impact. Do you dream of being on TV? I know I did, and I spent a lot of money getting there. Some was worth it, and some was a complete waste. I want to show you what worked, what didn’t and how to get on TV tomorrow if that’s what you really want. I’ll also tell you when the best time is – and how to leverage that. 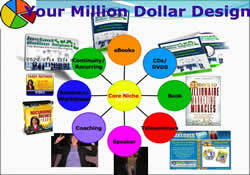 Module 9: Your Milion Dollar Design Market funnel and creation of a cash flow from every angle. You have probably heard about multiple streams of income, but what you may not have learned is what you should be doing, when, and why. So many people make mistakes that cause them to go for months without seeing any money at all – especially in the beginning. I have cracked the code to fast cash and a structured build of your money magnets. Most people hate selling, but it is the lifeblood of your business so it’s something you must get over. 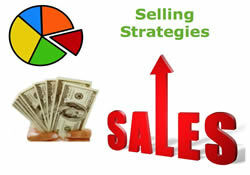 I show you the fast and easy ways to not sell, but listen, connect and create an opportunity for them to get the help they need. It’s simple, elegant, and it works. I sell 5 figure programs every week using this method, and with practice, you can too. Module 11: Cash Generating Events Make as much in a weekend as you do in a year. Events can be the greatest income producer for your business, or can bankrupt it in a weekend. There is a right way to do your first event, future events, and you’ll learn what type of event is right for you so that you leave with a profit in your pockets, not another hard lesson learned. Module 12: Traffic and Attention Be seen everywhere and cash in on your mojo. With everything in place there is only one thing left – and that is traffic and attention. Now it’s time to put a plan in place to continue the momentum you have built, and leverage the structure and systems you have put in place. You get the exact steps I used to reach 22 million people last year, all in a one year long comprehensive system. The elements to keep working over & over thru year as building blocks that you recraft, re-analyze & adjust as you grow Timeless principles with practical instruction you can reapply as you get more sophisticated and raise your price out of the reach of the people you currently serve See what lays in front of you as you constantly move out of your comfort zone and make big investments in yourself. Everything I do/teach is what I’ve done myself. an Hour Per Month of Your Time. Sound Good? But Knowledge Is Only Power When You Take Action And Use It. I’ve Put All of this Together Over the Past 2 Years. 12 Separate Disciplines of Critical Elements to Quantum Leap Your Results. You will save yourself 7 years of running all over the place trying to piece these strategies together. You will save yourself tens of thousands of dollars getting just the answers you need in the order you need them. 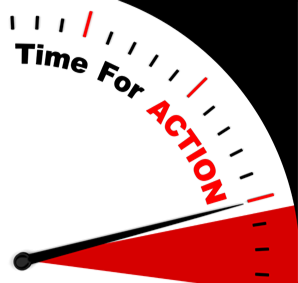 You will save hundreds of wasted hours implementing just what you need to get in place now. It’s the exact sequence I took to reach millions. It’s the education I spent over $250,000 on, compressed into one online learning system. 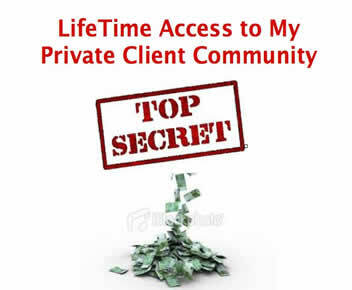 It’s the path I took my $20,000 VIP Platinum clients through, for massive results. It’s 5 years of my life, laid out in step by step detail, complete with samples, blueprints and systems I created to reach the success I did. And you get it all in one place, with LIFETIME access. You get a refresher on anything you think is already completed, just to make sure nothing is missing. One missed item in an online strategy could cost you hundreds of thousands of dollars in conversions. Outsourcing strategies complete with the pros and cons and how to avoid the pitfalls, can help you get your time back so you can focus on making money not on things you shouldn’t be doing. All the steps you need to be a messenger, reach communities, and impact the planet in positive way. It’s the detailed blueprint so you can create a fully customized plan to follow and have the Complete Clarity you have searched for. Are You Ready to Achieve Certainty and Peace of Mind? 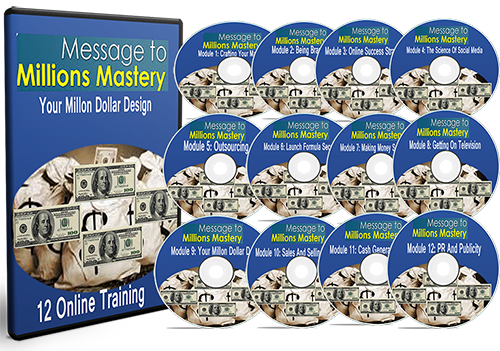 Over the past 8 years I have conducted annual mastermind sessions with VIP Platinum clients who were paying anywhere from $12,000 – $75,000 to have me build their websites, consult and mentor them and be part of a high level mastermind. The results and feedback were phenomenal as they said the information I provided in EACH module was worth the thousands they paid. After creating and testing the lesson materials and topics, 12 of the most desired issues were addressed that can impact your business in EVERY facet from customer attraction, conversion, retention – to impact, reach, purpose, mission, income, profits, speed, focus, and branding, internet, social media, traffic, speaking, TV and media, PR, outsourcing, book launch, product launch, telesummits, multiple streams of income – I integrated the exact answers and path I took so you can quantum leap your way to massive success. Then I asked the current members what should I charge? I got ranges from $1000 per module so $12,000 to $3500 for those who need guidance and can’t afford the true value right now. The answer provided me with two things I was looking for and that was > Those participating truly saw the value and results quickly. > I need to make it affordable so that you can save the $150,000 and years of time I invested in learning all of this. So if trainings like this showed you how to book 3 speaking engagements and helped you to make $10,000 in keynote fees – what would it be worth to you? If these trainings showed you how to modify your brand and websites so that it made the impression you needed to, and this resulted in more people opting in and buying your products and services – what would that be worth to you? If you got on TV and said your landing page domain or promoted your book to millions of people at a time – what would that be worth to you? If you had the secrets to selling your high end products quickly and easily, in as little as a few touch points – what would that be worth to you? If you could see how to take your one core idea and content and sweep it across multiple streams of income to create your million dollar design – what would that be worth to you? I ask you this because I want this decision for you to invest in yourself today be an easy one for you to make. I could say a price, and if you haven’t asked yourself those questions, it may seem high. By asking yourself those questions, I want it to seem brutally and insanely low. So low, you almost hesitate because you are afraid now the content and value isn’t there. You swing to being afraid that this has been thrown together from bits and pieces of information I have gathered. But then you feel like you have nothing to lose – because you don’t. What if you checked it out, got a look at that first lesson, knowing it was one of 12 lessons, knowing that it is the first step of your solid foundation and even if you had that fully in place, you still would stay (even though the guarantee says you can opt-out right now and get your money back) because you have been given the confidence that you have step 1 mastered, and are eager to see the next module – Being Brand You. And every month you continue to be amazed at the content and guidance the system provides for you. The community you have access to (Yes I’m going to open up my private VIP Platinum community to you) is priceless and that this is a limited time offer and that once I have hit 500 members, the doors will close and that information is gone to you. Between my computer degree and accounting designation I love logic and structure. 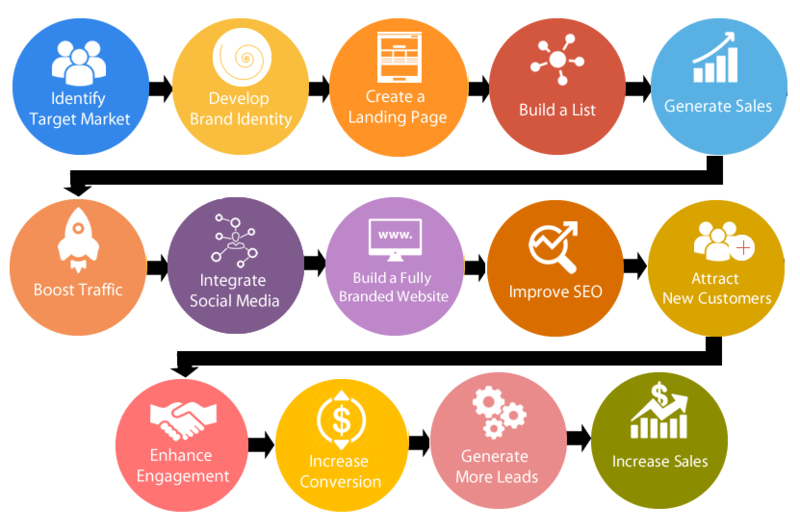 When you combine that with my 30 years in marketing, and 20 years developing websites and working online, it’s an unprecedented combination for a full online strategy that has your marketing needs in mind. There’s no doubt I want you to get these results and to make your decision even easier – so I’m going to sweeten the pot with these specific bonuses when you place your order today. ORDER NOW And You’ll Also Receive These Gifts, Worth at Least $22,497 Absolutely Free! Just a Few Hours of Training a Month Could Guarantee Your Success! Did you know that good time management is simply about making better choices? Is your message worth getting out there in such a way that your prospects can easily find you, know what you do, and you build a relationship in which they know, like and trust you rapidly to accelerate your sales and conversions. You are brilliant at what you do, and are destined to make an impact, reach millions and live a legacy, all you need to do is take that first step. Your Destiny And Opportunity Is Always Outside Of Your Comfort Zone. The Only Thing That Holds You Back – Is You. Choose To Be Great, And Live Your Calling. 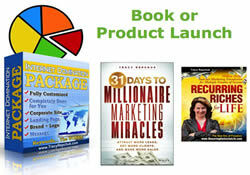 Get The Answers You Need To Launch – Grow – And Leverage Your Online Presence. Establish Your Brand from End to End and Reach Millions with Your Message. Upon payment, you will automatically be sent to register for complete access to the system. I look forward to helping take your business to the next level.